as part of the Holiday Festivities in Livingston Manor. 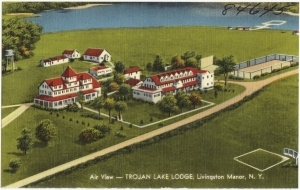 As its so-called Golden Age of tourism was approaching in 1950, Sullivan County had nearly twice as many hotels as Miami Beach, representing a total investment of more than $150 million and entertaining between two and three million guests each summer and an additional 100,000 or so during the off season. 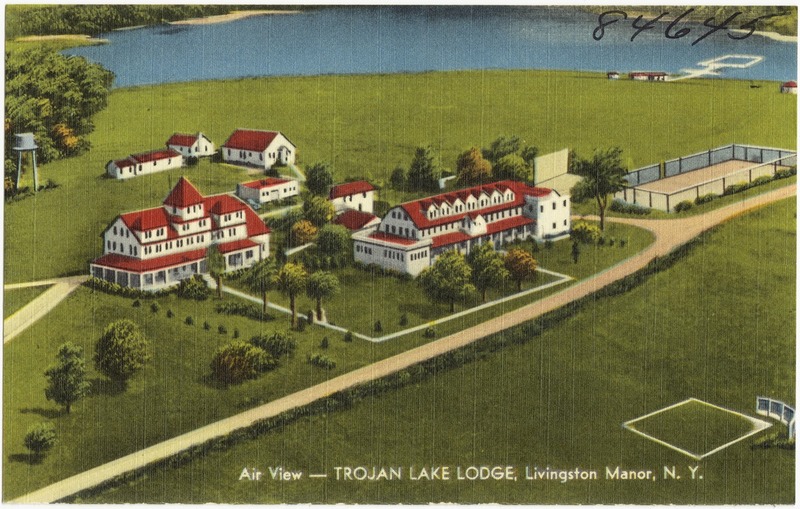 By May of 1953, the New York Times reported that the county’s accommodation included “538 hotels, 50,000 bungalows, and 1,000 rooming houses.” And by 1955 the hotel industry in Sullivan County was spending upwards of $55 million here in a single summer. There was plenty of gold in Sullivan County’s Golden Age and County Historian John Conway examines the time period including its origins and the factors leading to its demise. RESERVE your seat for John Conway’s presentation, by calling Morgan Outdoors at 845 439 5507. Seating is limited so reservations are required.